Between January and June 2019 HCMT has seven free and low-cost spay/neuter clinics scheduled for stray/feral and rescued/pet cats. Each spay and neuter reduces the number of homeless cats in the Pittsburgh region, and helps everyone be a part of the solution. Clinics fill up fast and registration well ahead of time is required. More dates nay be announced and dates are subject to change. Check www.homelesscat.org/clinic-info for the most up to date information. Cats end up living on the street in many ways but usually not by their own choice. They are left behind when people move, they are placed outside as if they are trash when they are no longer wanted, sometimes they unintentionally escape. The reasons cats end up outside may be behavioral, or their owner’s financial or emotional issues, but cats end up abandoned and need the help of the community to rescue them and find them another home. Cats can begin reproducing as young as four months old. An unspayed female cat can have an average of two litters per year with an average of four kittens, some are even more prolific. Her kittens can be ready to produce kittens four months after they are born. If none are spayed or neutered by the next year, well, you can do the math. But kittens can be spayed and neutered as young as two months, weighing at least two pounds. All those extra kittens never need to be born. HCMT has spayed or neutered over 1,000 stray, feral and pet cats per year since its founding in 2000. Clinics in the spring and summer often treat over 100 cats at each clinic, roughly twice each month, and more with trapping and rescuing cats between clinics. Think about that for a minute now…spay and neuter surgeries each year for over 1,000 stray, feral and owned cats. With the reproductive lives of that many cats effectively put to an end, imagine how many other kittens won’t end up out on the streets or in shelters? What is the Homeless Cat Management Team? The Homeless Cat Management Team is a freestanding “Trap-Neuter-Return” (TNR) organization in the Pittsburgh region. Their mission is to lead the way in ending the overpopulation of companion animals in our region by providing high-volume, high-quality, low-cost sterilization. We also assist and support community cat caretakers who work with HCMT with trapping, transportation, cat food and shelter and veterinary care. We also have clinics open to the public for rescued and pet cats, which provides an alternative for people with limited incomes or several cats who need to be spayed and neutered at one time, such as an “accidental” litter of kittens and their mother. As part of HCMT’s TNR process and mission to end feline overpopulation and reduce populations of cats living outdoors, volunteers also assess all kittens and friendly cats HCMT has rescued for adoptability and socialization, and after spay/neuter and age-appropriate vaccines offer them for adoption through their sister organization, a network of volunteer foster homes called Pittsburgh C.A.T. A feral is a cat that will be returned to the outdoor location where it was trapped after surgery. A rescue is a cat that either has been or will be adopted as a pet after surgery. Only feral cats are eligible for No-Charge clinics. Both feral and rescue cats can be treated at Fast Track Clinics. All clinics are held at HCMT’s clinic at 207 Allegheny St, Tarentum, PA 15084. You must pre-register for any clinic. Walk-ins are not permitted. By Phone: call 412-321-4060 and leave a message. Please include your name and phone number in your message. Someone will return your call and complete your pre-registration. HCMT is all volunteer and this may take some time. Clinics fill up quickly and it’s best to call at least two weeks in advance of the clinic you want to attend. By Email: Email cathomeless@gmail.com with your name, number of spots you need and which date you are registering for. You will receive a confirmation email ONLY if you are registered. 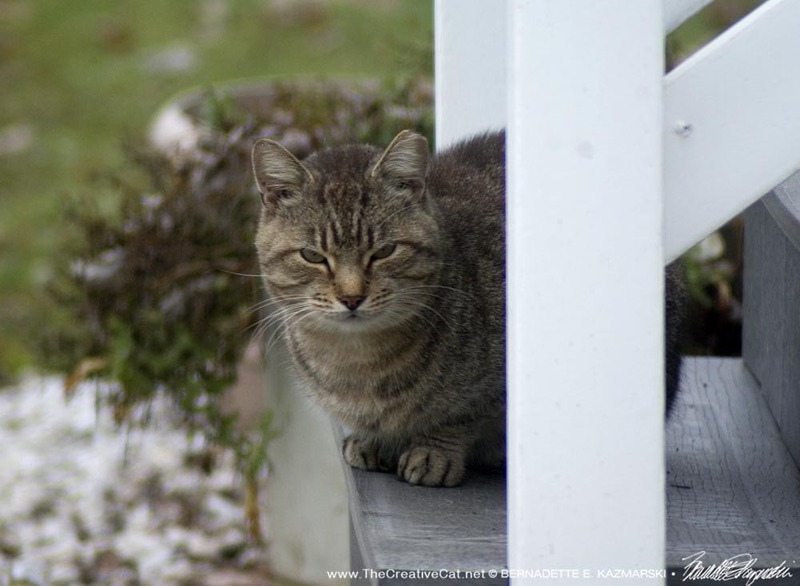 Feral cats must arrive in a standard humane box trap (Havahart, Safe-guard, Tomahawk, Tru-Catch, etc.) for the safety of all involved. Rescue and owned cats can arrive in carriers, one cat per carrier. They will be placed back in their carrier or trap for recovery after surgery. HCMT also needs volunteers for clinics, up to 20 per clinic for various duties and different shifts, with most of them not requiring medical training. On the website you’ll find a link to the signup to volunteer for each of the clinics as the date approaches. Pittsburgh C.A.T. also needs volunteers who love cats to help daily to feed, medicate and play with the cats in our clinic for medical treatment. HCMT has their own clinic space in Tarentum, north east of Pittsburgh. Their free clinics are funded in part by donations from individuals, but the biggest portion of the funding is a $1,500 sponsorship by one donor. HCMT would love to offer more opportunities for clinics, so consider sponsoring one yourself, or your business or an organization. If you are interested in partially or fully sponsoring a clinic, send an email with your contact information and details to cathomeless@gmail.com. We are all volunteer, and sometimes the community’s needs for help with cats is enormous, but we will respond. Sponsors for the clinics listed above include family members of board members and volunteers. Milton Lendl, father of a board member, grew up on a farm, was an Ivy League graduate and a real animal lover according to his daughter Lisa who serves on HCMT’s board. His wife Jeanette Lendl regularly sponsors clinics in his memory and also runs a small sale table at clinics to raise extra money. If Samantha Ginsburg ever won the lottery, she would use the money to spay and neuter every cat and dog. Until then, Samantha and her family have been sponsoring HCMT clinics and this will be their fifth year supporting us. When she is not caring for her own cats or her community cat colonies she can be found volunteering with Kopy Kat Sanctuary. Her mission is to advocate for the voiceless and to do her part to educate on the importance of spay / neuter / TNR. In May 2017 HCMT received a call for help for a half dozen or so kittens dumped on a farm, but when a volunteer picked up the carriers holding the kittens she found 24 kittens in each carrier and one adult cat who was not their mother. The kittens were malnourished and full of fleas and parasites with upper respiratory infections bordering on pneumonia and infected eyes that could leave them totally blind. In July after two months of treatment those kittens were well and healthy and lost very few eyes, and all had been adopted. Many generous people saw HCMT’s need and donated money, goods and volunteer time, and what was leftover sponsored a clinic to hopefully prevent that sort of thing from happening again. Each May HCMT and Pittsburgh CAT hold their annual Spaghetti Dinner Fundraiser, raising $14,000 or more which sponsors a clinic and helps cover the costs of rescues like the 48 kittens, the hoarding cases in which HCMT assists, the everyday expenses of rescuing cats and caring for cats at our clinic building between spay/neuter clinics, and just paying the bills. Volunteer or donate. Call Homeless Cat Management Team hotline and leave a message, 412-321-4060 or visit www.homelesscat.org to find more information and to find links to our Facebook groups.